On April 5, 2010, the day after Easter, a series of explosions rocked the Upper Big Branch mine near Montcoal in Raleigh County. After the Upper Big Branch explosion, an independent investigation determined that sparks from a longwall miner had ignited a pocket of methane, setting off a chain of explosions that surged more than two miles through the mine. 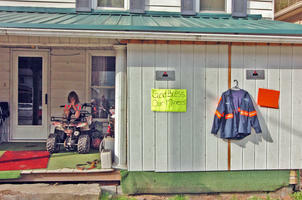 Twenty-nine men died, making it West Virginia’s worst mining disaster since 78 miners were killed at Farmington in 1968. The panel concluded that the explosions could have been prevented and that systems designed to protect the miners had failed. The report found that the mine’s owner, Massey Energy, had operated its mines in a “profoundly reckless manner.” The U.S. Mine Safety and Health Administration reached similar conclusions, blaming the deaths on an “intentional and aggressive” effort by Massey to ignore safety rules. The criticism of Massey eventually led to the resignation of company president, Don Blankenship. In 2016, Blankenship was sentenced to one year in prison for conspiring to willfully violate mine safety standards, largely in connection with the Upper Big Branch Disaster.